All the coats you need to carry you through ’til spring. Sometimes a signature winter coat (or four) is all that can persuade you to leave the house throughout the colder months; a comforting, protective barrier between you and the outside world – whether you’re braving natural landscapes or just morning rush hour. Cue Italian luxury outerwear brand Parajumpers, co-founded by designer Massimo Rossetti, who have developed a dreamy, extensive range of innovative new concepts for all kinds of outdoor adventuring. The “Limited Edition” capsules for men and women reinvent Parajumpers’ most iconic pieces, while the new “Coated” line blends elements of a classic coat and puffer jacket, featuring decadent faux fur trims. 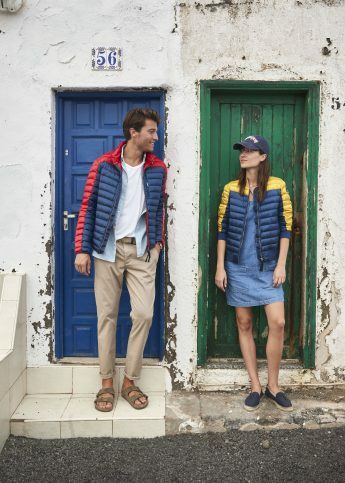 For those venturing further afield this winter, the new shiny “Sheen” for men and women, and the waterproof “Sleek Puffer” collections for men and women provide new additions to Parajumpers’ lightweight ranges. The “Masterlight” collections for men and women utilise the latest tech innovation for maximum comfort, and the brand’s longtime guest designer Yoshinori Ono has also created the “Kegen Packable“, comprised of warm, down-filled materials made conveniently lightweight for travelling. Browse Parajumpers’ new luxury wear for mountain snow posers, sports enthusiasts and city explorers alike online. Parajumpers' SS19 collection is an eclectic range of exploration perfection. 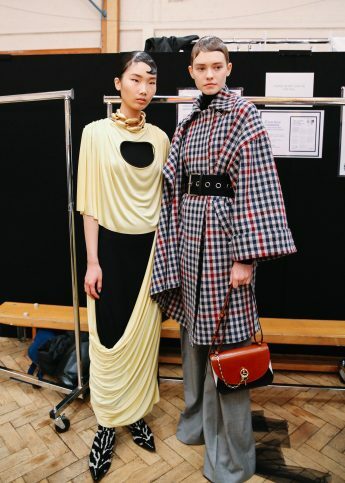 JW Anderson's AW19 collection was a vision of billowing fabrics and distinctive silhouettes.